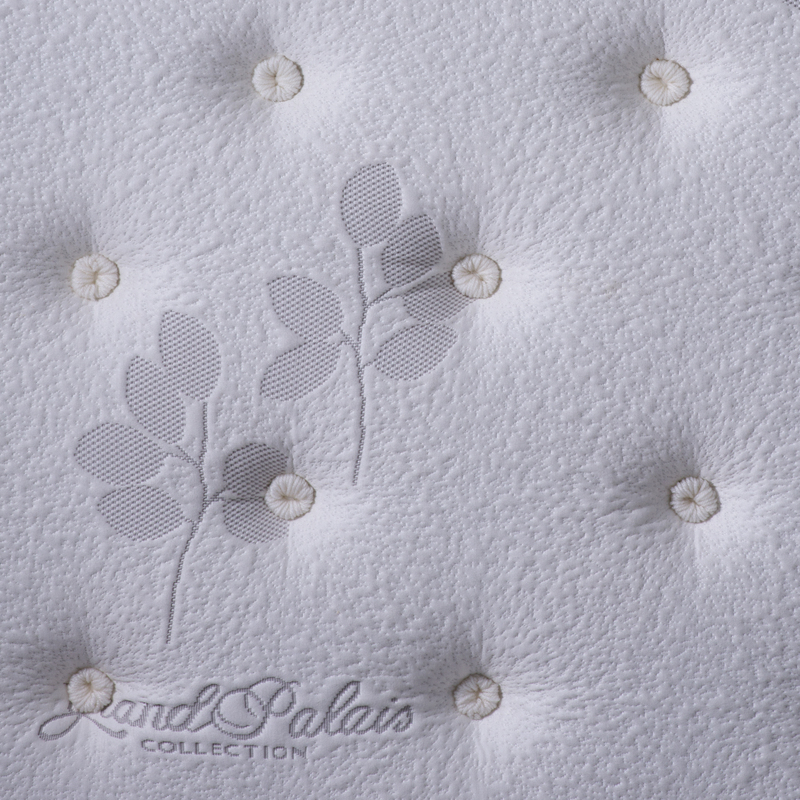 Peps Grand Palais comes with a generous thickness that will leave you feeling like royalty. 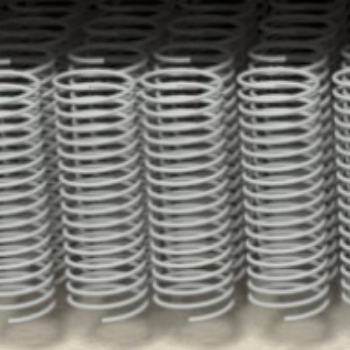 Scientifically placed pocketed springs make sure you sleep undisturbed through the night. The lush Belgian knitted fabric mattress cover used is crafted exclusively for a dreamlike first touch that you will enjoy every single time you sleep on it. Some knits have an excellent moisture-absorbing ability, especially those made from plant-based materials. For instance, cotton is able to absorb up to 27 times its own weight in water. Knit fabrics are looped together from a single or double yarn creating small openings in the finished fabric. These openings serve as pockets for holding air or minuscule amounts of water. This unique feature also makes knits warmer than other fabrics, even when the fabric is soaking wet. 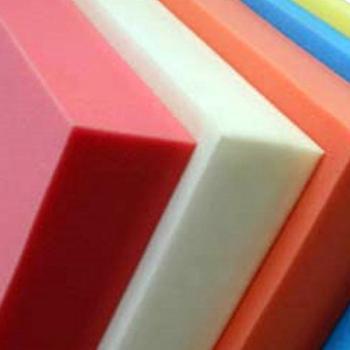 Polyurethane Foam gives durability, comfort, and support. Peps Grand Palais contains properly used polyurethane foam for a comfortable surface. It also offers the benefits of being noiseless, dustless, and resisting crumbling and matting. 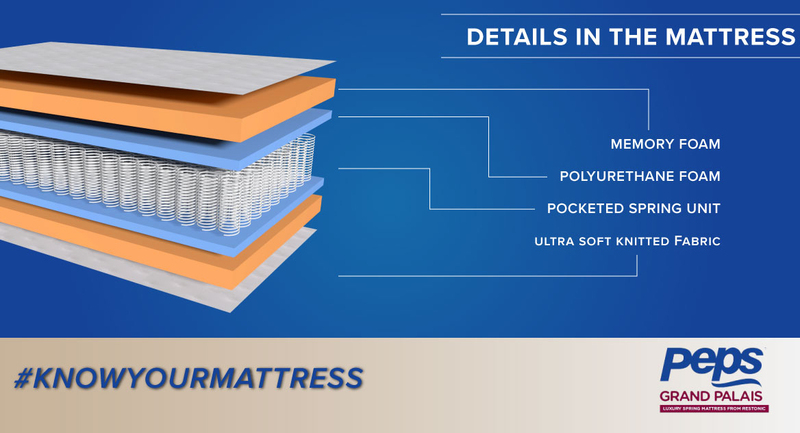 Polyurethane foam does not aggravate the majority of allergies and lacks a residual odor. 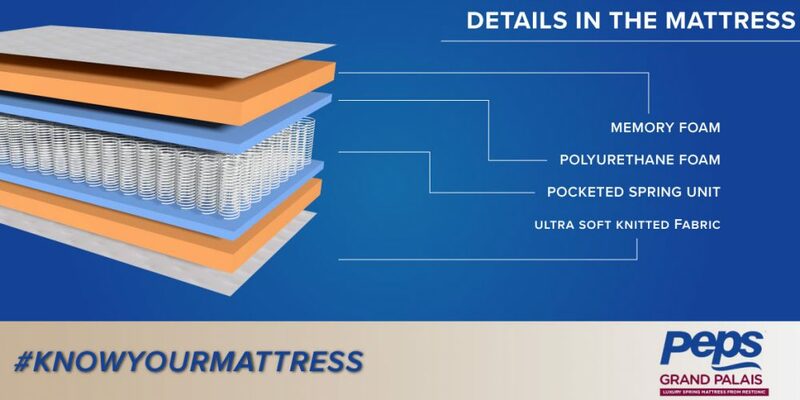 It also has an open cell structure that lets the material breathe and reduces the chance of mold and mildew infestation.